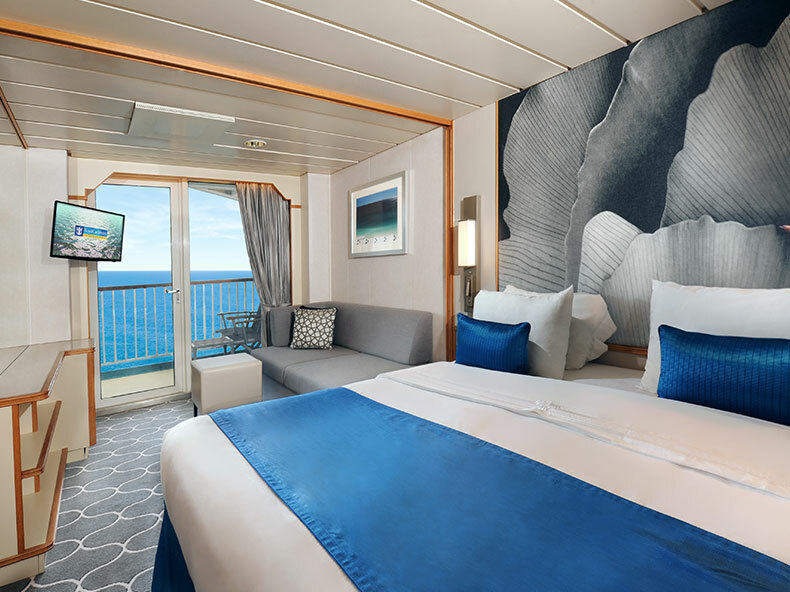 Staterooms: 112 to 155 sq. ft.
Balcony: 40 to 120 sq. 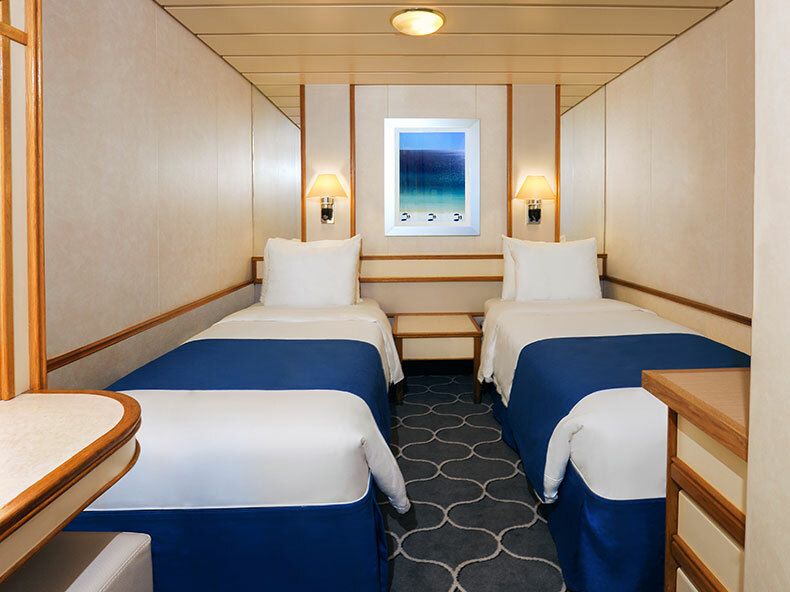 ft.
OceanView Stateroom (G) -Two twin beds that convert to Queen, vanity area, and a private bathroom. 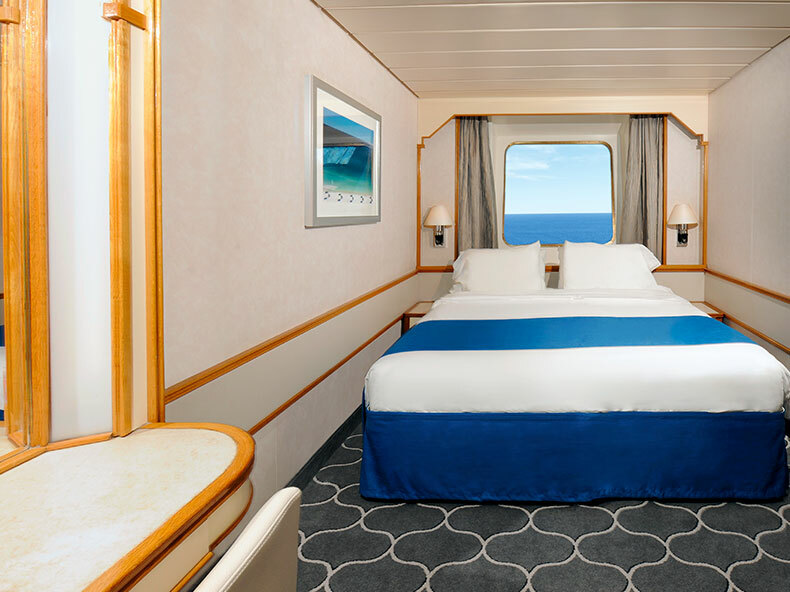 Interior Stateroom (N) - This standard stateroom offers two twin beds, a private private bathroom, vanity area, hair-dryer, closed-circuit TV, radio and phone. 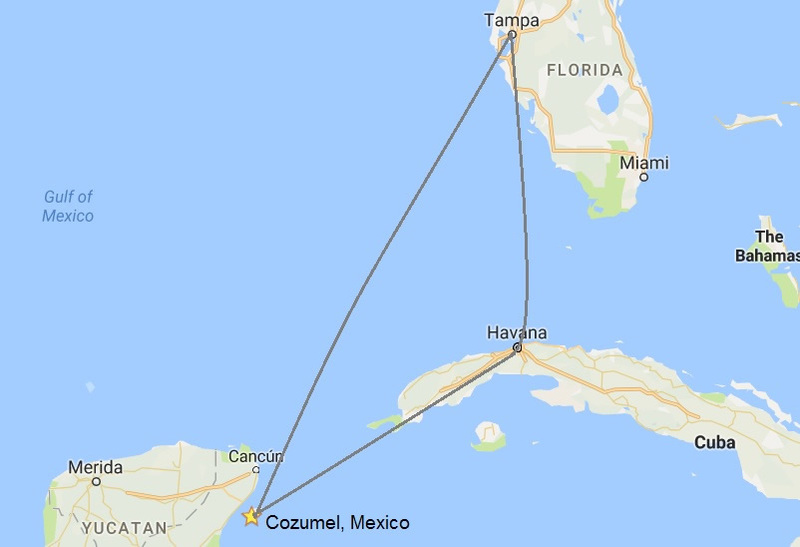 109 to 131 sq. ft.